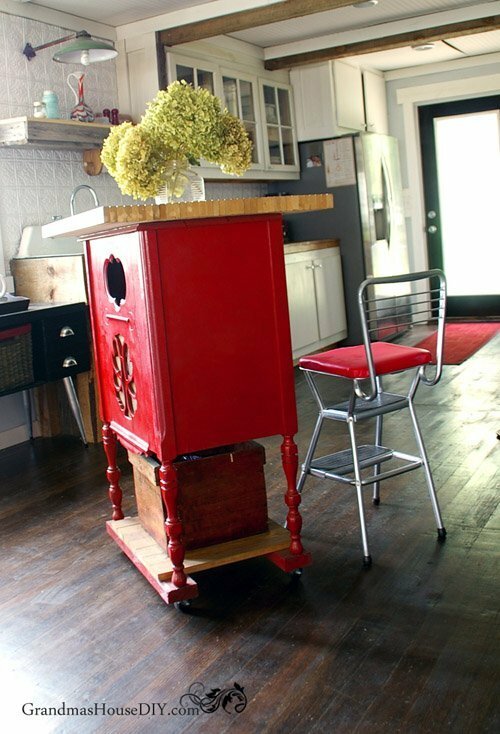 There are many words and phrases used throughout the DIY community for repurposing. 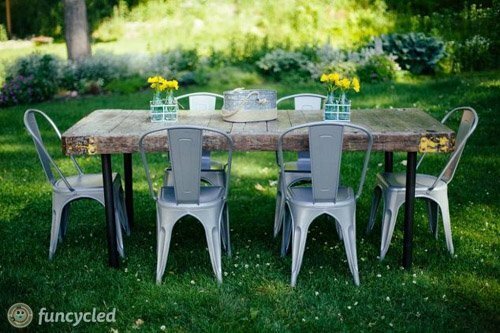 Sometimes we call it upcycling, sometimes we call it reinventing. Whatever you call it, taking a piece of furniture that was meant for one job and totally transforming it to make it useful for another takes ingenuity and some very creative thinking! I haunt Hometalk a lot these days because so many bloggers (and some folks that aren’t bloggers at all!) share some truly amazing ideas every day. 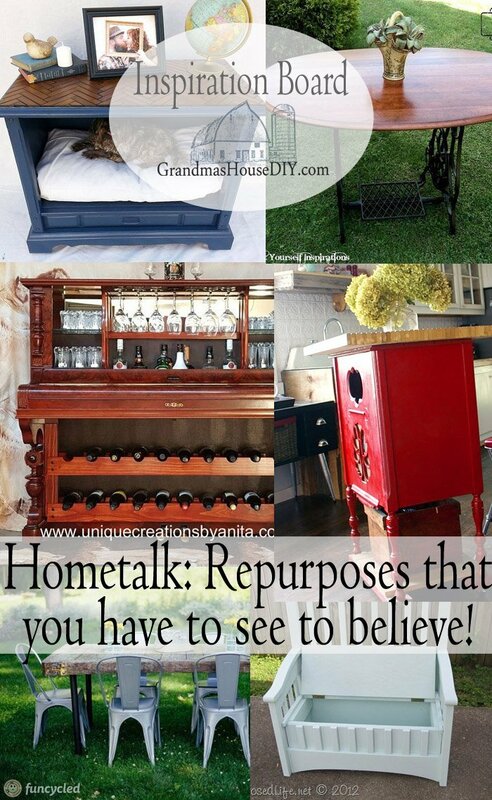 Here are six of my very favorite repurposing projects all of which I want to try someday! 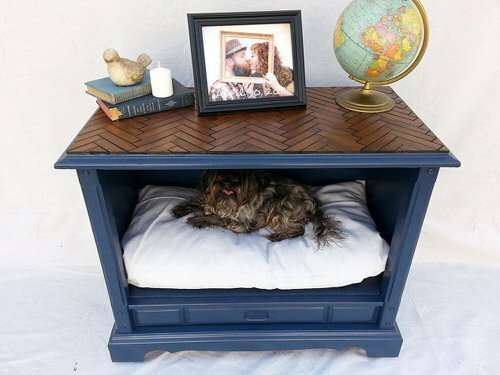 I have my own very old tv stand that I need to convert into something (though considering my history of 100 pound dogs I don’t think it will be a dog bed…). If you check out the link they also show here how they use this as a shelf as well as a dog bed. I think it is a wonderful repurposing idea I mean, seriously, everyone has a big old tv stand they DON’T know what to do with now that we’ve all upgraded to flat screen tvs. On top of that (literally) the creator here did a gorgeous wood chevron pattern on the top that I am absolutely in love with! Oh my gosh though have you seen these yet!? 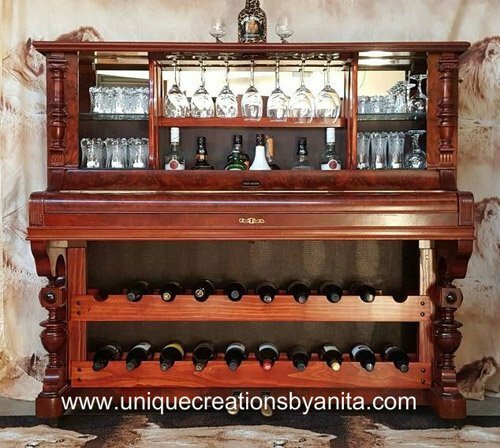 I don’t know who did it first but the idea of turning an old piano into a bar is absolutely genius! Every time I go thrifting or garage saling I always seem to run into at least one crib that no longer has any use to its owners. Seriously though, what do you do with them!? Well this is one fantastic idea right here! 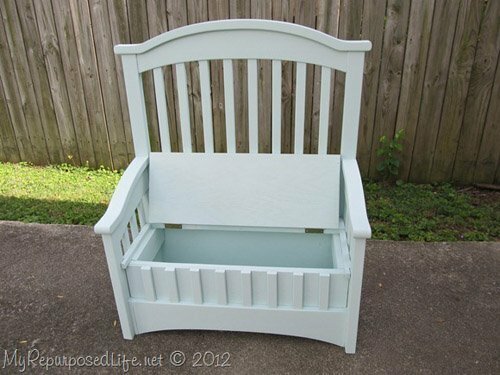 (Though not a toy chest for me, instead my first thought was what a great entry way storage bench this would make!) I’ve also seen them converted into dog crates and drying racks! 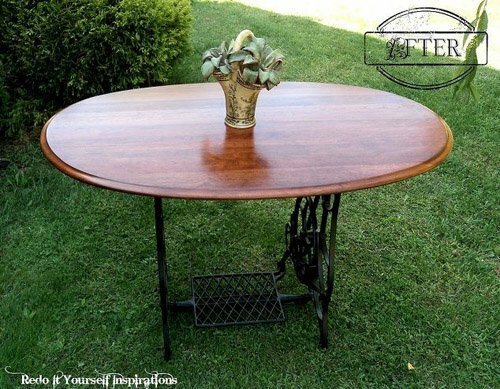 Oh if only I had an old trestle sewing machine! I’ve seen them used as bases for SO many things, including as a sink in a bathroom! Really these old beauties are only limited by our imaginations. Saving the best for last (at least to me) my heart goes pitter patter every time I see this table. What an incredible repurpose to make one gorgeous top! My own repurpose felt like a full on “duh!” moment for me. I had been keeping this radio stand of my great grandpas for years but it didn’t finally hit me until I started designing my kitchen island. And, ya know what? I was literally designing an island that was almost exactly this radio cabinet! It worked out so well it seemed totally meant to be! I find that most of my own repurposes and ideas stem entirely out of necessity. (Necessity is the mother of invention after all) The worst thing for me is always having to go buy something, I’m always pushing myself to find innovative solutions using products I already have and these great inspiration I shared here today are such wonderful examples of that! I so want to turn a piano into something too!So far my husband is vetoing it:-( I love your little island it smart and cute!